The Department of Communication which falls under The Board of Communication was constituted in 1983 when the Anglican Church of Kenya, Diocese of Eldoret was curved out of the Nakuru Diocese with formation of other Boards and departments. The aim of this department was to sensitize the Anglican Community in the Diocese on the functions and activities of their newly created Diocese which serves as a vital tool in communicating to the outside world on different aspects and functions the diocese offers to the community both spiritually and socially. After years of existence, the Standing Committee of the Synod met in the month of January 2016 and passed a resolution to revitalize the Department of Communication which has not been as active as it should have been. 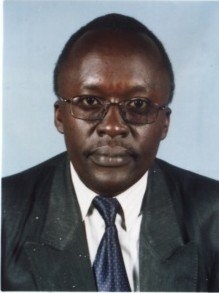 Simon Njoroge heads this department working under the Diocesan Board of Communications. •	Interpersonal Communication; where individuals are encouraged by this department to interact and understand the role of the church as pertaining to their social relationships. •	Social Communication; this will include setting up a Bookshop and preparing a documentary film for each department in the Diocese so as to involve each member of the Anglican Community to own the projects initiated by the Diocese. Also, the main function of the Department of Communication is to highlight all the departmental reports and make them available at any given time they are needed by all stakeholders and development partners.